3 arrests ex-LHR of U.S. pilots for "drunkeness" the last 13 months. Perhaps this is due to the UK´s blood-alcohol-maximum of 0.02. One beer is theoretically enough to knock you out. The FAA has no enforcement mechanism-it is up to co-workers and passengers to find "bad apples." This leads to a lot of passengers crying wolf, especially after recent incidents are reported in the news. Pilots with alcohol problems can voluntarily step down, enter alcohol rehab, and usually be back on the job within a year. 90% of pilots who participate in the rehab program return to work. 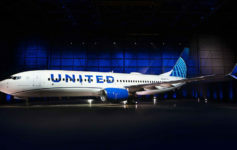 I shouldn´t joke, because this issue is serious, but please do not boycott UA or forgo flying because of an occasional pilot who may have had a beer before the flight. Flying is still the safest way to get from point A to point B. Pilots should severally punished for showing up with a high BAC level, but instances of pilot of drunkeness are so rare (that´s why it makes headlines when it happens) that I would not even give it a second thought next time you fly.